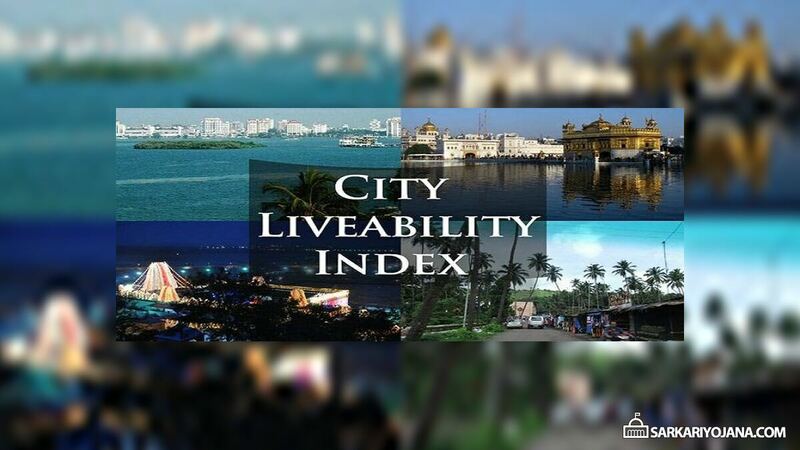 Ministry of Housing and Urban Affairs (MoHUA) has decided to start Liveability Index Programme for cities. Subsequently, govt. is going to assess live-ability standards in 116 Indian cities. This programme will include 99 Smart Cities announced by the Central government and other few cities having 1 million plus (10 lakh +) population. The primary objective of this scheme is City Liveability Index Scheme is to assess the existing status and track their growth for providing better life to the citizens. Subsequently, MoHUA has introduced various Liveability Standards which are necessary for Liveability Index and rating of the cities. Economic Intelligence Unit (EIU) of Economist, London based weekly in alliance with the IPSOS Research Private Ltd. and Athena Infonomics India Pvt. Ltd. will perform the assessment of Liveability Index of 116 cities. MoHUA has setup various parameters for calculating the Live-ability Index. Subsequently, framework for this scheme includes the previous 24 Smart City Features which were present in the Smart City proposals. Accordingly, these parameters includes 79 indicators – 57 Core indicators and 22 other supporting indicators. Implementing Authority has categorized these parameters in 15 different categories. These categories are specifically designed to check various socio-economic and physical aspects. The categories includes quality of roads, education, health care facilities, job opportunities, addressing of complaints, pollution levels etc. Accordingly, these are essential to check the living standards – Liveability of a particular city. Under this Programme, MoHUA will set up around 30 capacity building workshops which would help in understanding the “Urban Data”. Accordingly, these cities will get essential tools and knowledge to set up a new database for evaluation. Implementing agencies will make continuous visits to these 116 Cities to obtain all the information of cities and thus will impact the City Assessment Reports. Subsequently, MoHUA will take into account the reports of surveys of over 1 lakh citizens and other users. After assessment of reports, Ministry will assure its satisfaction report on the services. Moreover for mapping of the official data, govt. will start an “Economist Portal”. In addition to this, the outputs will help the central govt. in making various policies and planning for the benefit of the common man. Furthermore, govt. will also start a framework for tracking the GDP of cities in next rounds. This type of Liveability Index Programme – Ranking System of cities will promote competition helpful in raising living standards in cities. sir, I interested in kabbadi and I want play in khelo india !! A grate initiative of the Govt. This should be taken to the rural areas also. That’s a good initiative taken by Govt. I think more plans in rural area should be applied also.